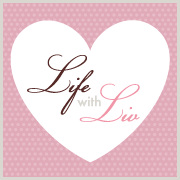 Life with Liv: Fathers Day Gift Guide - 3 weeks to find the perfect gift. Fathers Day Gift Guide - 3 weeks to find the perfect gift. This Fathers Day - Sunday 21st June - why not surprise your Dad with something other than socks! I have put to together a gift guide of products that may be of help to you, no matter how fussy the Dad! Whether he is big on appearance or you are giving him a not so subtle hint, grooming products are a great gift for most Dads this Fathers Day. How about an electric razor to keep him clean shaven? How about creating a shaving kit for him? 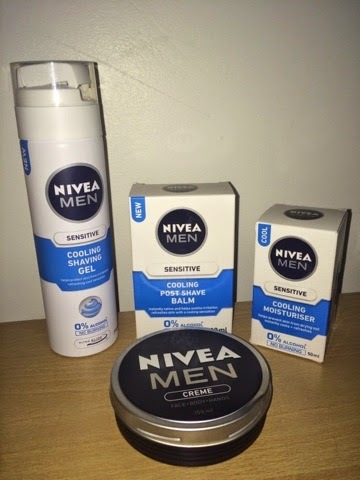 These fabulous Nivea cooling products come highly recommended by my Husband. They are also perfect for your Teenage boys who are just starting out shaving as they contain absolutely no alcohol so will not burn or sting, avoiding that famous Home Alone scene! He also keeps a pot of the Nivea Men Creme in his work bag as with him working outside his hands often chap and split. This non-greasy moisturiser has a manly smell to it and really softens the skin, even during Winter. 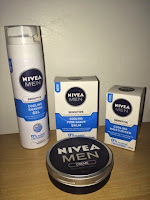 To buy these products or to check out alternative ideas visit Nivea Men. Don't forget to check out the gift packs and big value bundles for some bargains. Pop them all in a toiletries bag and you have a lovely gift. If you do make a shaving kit, I recommend these edgy Sanctum toiletries bags. 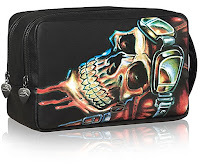 We have this biker skull, large bag and love it! The product of a collaboration between Sanctum Soho - the opulent rock and roll hotel - and renowned tattooist Dan Gold. These edgy toiletry and cosmetics bags are made of real leather, are very well crafted and are the perfect size for all of your toiletries. 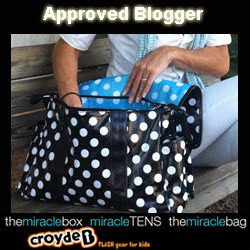 Priced at £24 for this large bag - smaller sizes & other designs available. Unkempt eyebrows & nose hair? Has your Dad started sprouting unruly nose/ear hair or overgrown eyebrows? 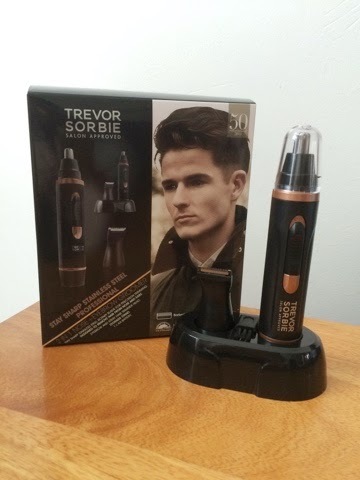 What a perfect time to give him a subtle hint by buying him this Trevor Sorbie nose and eyebrow groomer. With its stainless steel, stay sharp blades, he will be looking significantly less hairy within minutes! Powered by just 1 x AA battery (included) it's professional high power motor matched is perfect for precision trimming, with no pulling or tugging. It also comes complete with a mini brush to keep the blades clean and a handy storage stand. A bargain at £11.20. Okay, maybe not a real one but this Maisto radio controlled Ferrari one is just as fun to play with! This may not be a full size Ferrari but it is highly detailed, accurately modeled on the original car and built in 1:24 scale. The car is powered with a pistol grip controller. The left hand holds the control and depresses the trigger to power the car while you turn the wheel with your right hand to change direction. While this is recommended for ages 8+, our 3 year old has had great fun playing with this when Daddy has put it down! This car is available £20 & requires 4 AA batteries - not included. 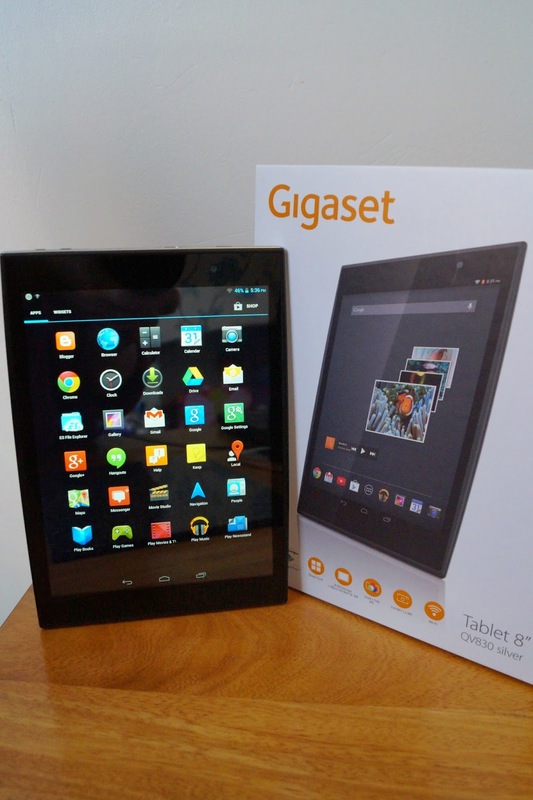 How about a very affordable tablet? Only recently launched in the UK, this sleek 8 inch android tablet is finished with a stylish aluminium rear case. The Gigaset QV830 is equipped with a five megapixel rear camera, a 1.2 quid core processor, 8GB flash memory and the ability to add an SD card for even more memory - making it an essential piece of technology for work or play! The battery is fully recharged in 4 hours, providing you with 240 hours standby time or alternatively you can watch HD films for up to 7 hours, surf the internet for up to 8 or listen to music (without the back light) for 65 hours!! It is fair to say this tablet looks and feels far more expensive than it actually is, with its flawlessly designed exterior and sensitive touch screen, it is right up there with tablets that are more than double it's price. One thing your Dad would not expect this high performance Gigaset QV830 tablet to come with this Fathers Day, is an affordable price tag - it is currently on sale for an astonishing £59.99! Available in black or silver. 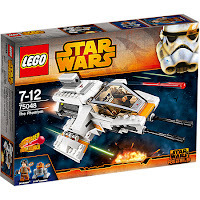 I recently bought my Dad this Star Wars lego and he loved it! Priced just £15 at Asda, this Phantom was the start of a collection that has kept him busy for hours. This model has 234 pieces and measures 3 inches high, 7 inches long and 3 inches wide when built. 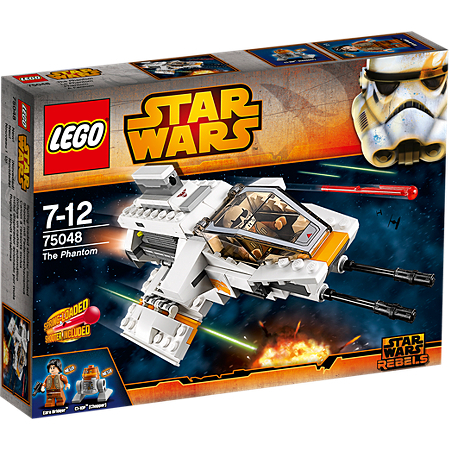 It comes complete with and Ezra Bridger mini-figure with accessories and a C1-10P figure. Recommended for ages 7 and over, it is great for encouraging the kids to play with Daddy too - hours of fun for them all! Does he dream of perfect Abs? 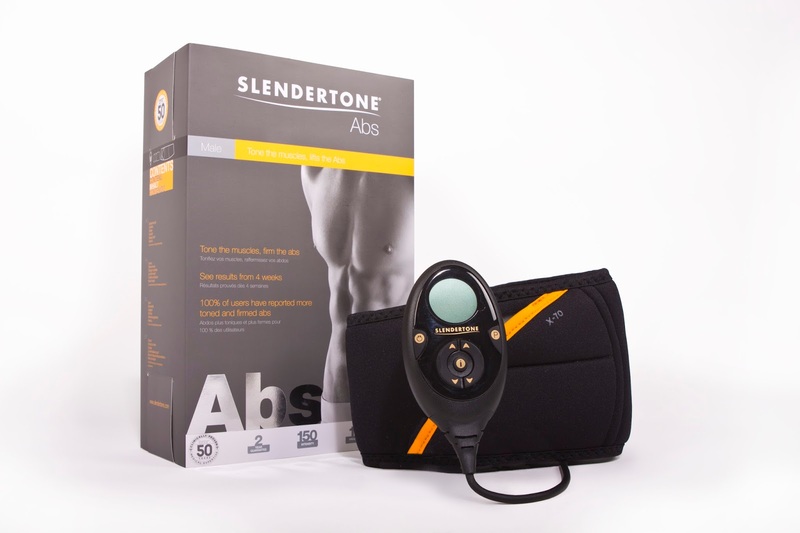 Then this Slendertone Premium Abs belt for Men could be the answer! Would your Husband love to have perfectly toned Abs? Why not treat him (and yourself!) to this amazing Abs belt for Fathers Day? Simply use for 20 minutes, 5 times a week along with a healthy diet and you should see a stronger, flatter more toned core, within just 4 weeks! This new advanced belt now goes up to an intensity of 150 and has 10 programs available - 7 requiring no physical activity and 3 for use while doing exercise, so there really is something to suit everyone. It features an intelligent training system, which automatically progresses you through the programmes as you advance and uses its built in warm up and cool down phases to ensure the correct muscles are being toned. 1 x Instructions & quick start guide. This product fits waists from 27 to 47 inches and is fully certified to medical safety standards. Frustrated at losing WI-FI signal or slow streaming? If the answer is Yes, then I have the solution! This is the BT WI-FI home hotspot 500 kit. This really couldn't be any easier, simply attach the main box to your router with the cable provided and plug the other directly into a socket in the area you would like boosting. We have installed ours in our bedroom as our internet connection drops quite dramatically upstairs, but it could be plugged into the loft or garden shed for example. 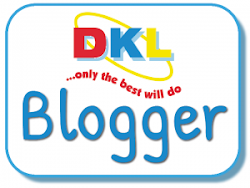 You can then connect your device via WI-FI using the details on the hotspot plug, or via a cable if it is not a wireless device. Priced at £99.99, we think this is genuinely worth every penny if you are struggling with signal. Forever running out of charge on his Smartphone? Never again! This Kodak Power Bank Charger 2000mAh capacity is available for Fathers Day at Asda priced at only £10. Allows you to recharge your smartphone on the go. Check out these BT8500 Advanced call blocker twin phones and make his life less stressful this Fathers Day. This sleek and stylish system Unique call Guardian system allows your saved contacts to get straight through as normal while diverting calls you have blocked, anything else call Guardian picks up and screens on your behalf! It is truly amazing, when and new number calls, call Guardian asks the caller to state their name, the call then rings through to you where call Guardian announces who is calling. Press 1 - to accept the call from this number on this occasion. These options even come printed on a handy card for you to keep by the phone while you are learning how it works and any contacts that you add are automatically saved to each handset. For this sytem to work you will need Caller Line Identifier to be activated. If you are currently contracted to BT you can simply call 150 and they will re-contract you adding this for free. If you are with another provider, BT can still implement this for you at a fee of £1.75 a month - a very small price for peace and quiet if you are being hassled by sales callers or wrong numbers all hours of the day and night. It is like having your own receptionist fielding all of the unwanted calls for you! Priced at just £60 I think this is a genius product. This Mantis cordless grass and shrub shear is cordless and very lightweight, weighing only 500g! Equipped with a lithium-ion battery, a 4 hour charge will give you 50 minutes work time. The blades are diamond ground reciprocating lazer cut,(for low vibration) and even zinc coated to help prevent corrosion. Includes a small grass shear blade and shrub shearing/shaping blade. Both have covers. Currently reduced from £65 to £30! 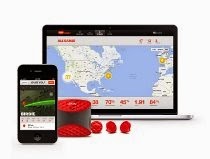 Even a gadget for the Golfer. GAME GOLF captures your round, your trends, your statistics and allows you to compare them to some of the best golfers around the world. GAME GOLF analyses every stroke you take so you can share your rounds, compete with your friends and track your performance. Endorsed by pro golfers Graeme McDowell, Jim Furyk and Lee Westwood, and used by Barack Obama, it's probably the perfect gift for any golf loving Dad! How about this divine Lord of the Manor Room Spray (£15 for 90ml) from the French Bedroom company. I'm sure you will agree it is a very masculine looking chunky bottle, it would look lovely on a bedside table and also smells fantastic. 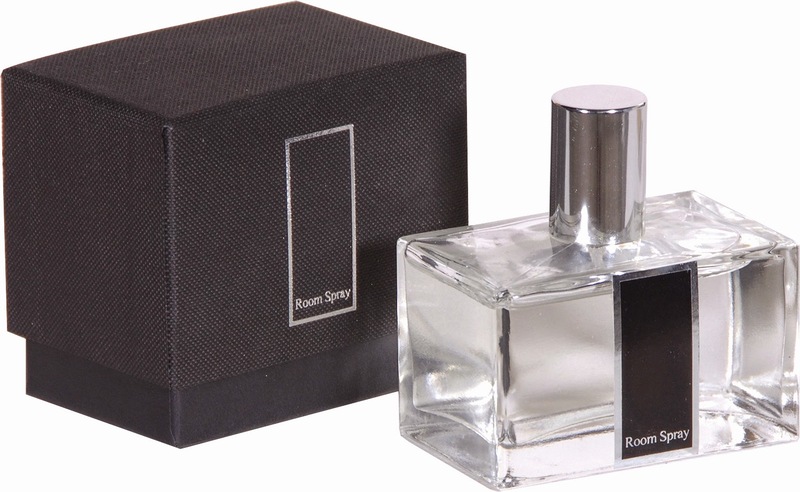 One quick spritz is enough to fill a room full of its wonderful spicy Lilly scent. 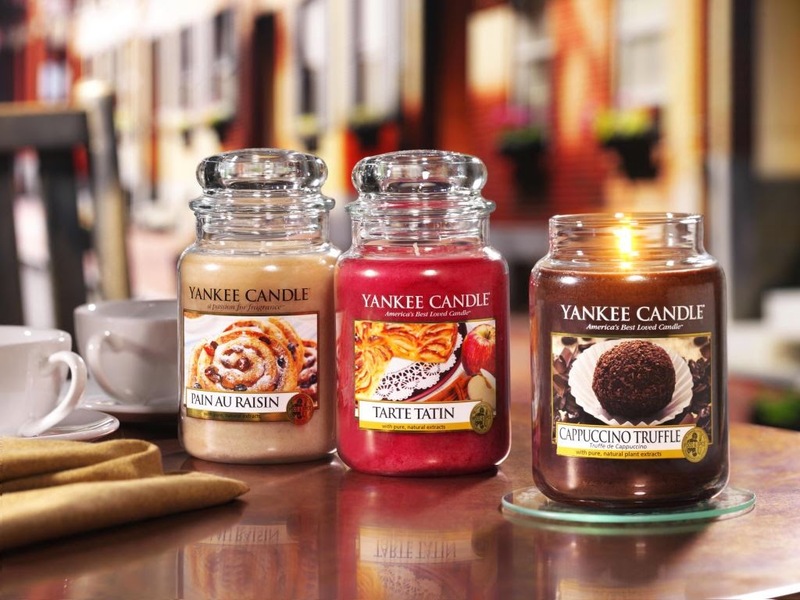 How about trying the new Café Culture Yankee candles? This range is fabulous - as you would expect from non other than Yankee. We were sent a small Cappuccino Truffle, Tarte Tatin and Pain Au Raisin to try. They smell magnificent and my Husband was thrilled to have some candles in the house that "don't smell like a florists!" The small ones we have are priced at a very reasonable £7.99 each, each burning for between 25 and 40 hours. The Pain Au Raisin is a very sweet caramel type smell which makes the house smell like you have been slaving away baking all day. The Tarte Tatin has such a delicious spiced apple smell that Liv actually asked for a taste! If only they would taste as good as they smell! Both my Husband and I agree that the Cappuccino truffle is our favourite. It is such a different smell for a candle and soon fills the whole house with a subtle aroma of coco and roasting coffee beans. Disclaimer - we were sent some of the above products for inclusion in the gift guide, however all opinions are our own. Arriving home from our Family holiday. National Picnic week - 13th - 21st of June. Making home made soup all year around. Decorating - the finishing touches.